In a medium bowl, toss cucumber with 1 teaspoon salt. Refrigerate 30 minutes. 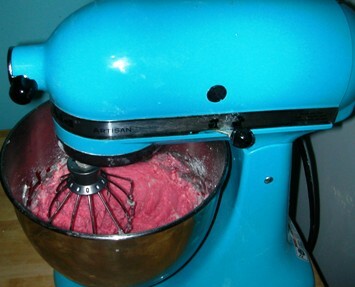 Meanwhile, in another medium bowl, whisk together 1 cup water with the vinegar, sugar and remaining salt. Add onions and refrigerate 30 minutes. Drain cucumbers (rinse if needed) and transfer to a salad bowl. 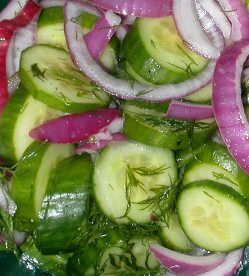 Lift the onions out of the marinade and toss with cucumbers. Add ½ of remaining marinade, dill, oil and pepper and toss again. Preheat oven to 325. Line muffin pan with 12 cups. In a medium bowl, combine dry ingredients (this doesnt include the coconut) thoroughly. In a large bowl, cream together butter and sugar. Add eggs and beat until fluffy. Add buttermilk and vanilla and combine. Gradually add flour mixture until just combined. Fold in coconut. Fill each cup ¾ of the way. Bake 20-25 minutes or until a toothpick inserted in the middle comes out clean. Cool and frost. Best with coconut cream cheese icing. Beat together butter and cream cheese until thoroughly combined. Stir in lemon juice, vanilla and powdered sugar until cream. Frost and top with a sprinkle of coconut. Best on Coconut Cupcakes. 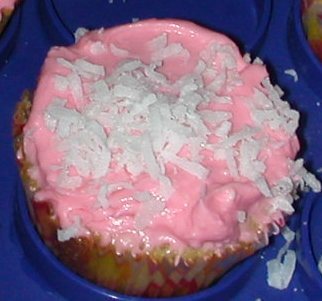 This icing is a little under-sweet, so it is okay to use sweetened coconut here. Freezing is a great way to save fresh berries and have them for future recipes. For most recipes (muffins for example) you don't even have to defrost the berries, you can use them the exact same way you would fresh. 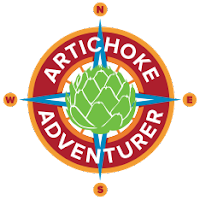 · Pick out any bruised or moldy berries. 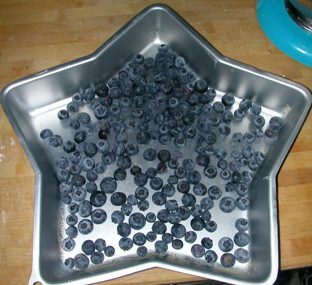 · Rinse berries (don't saturate) and dry throughly. 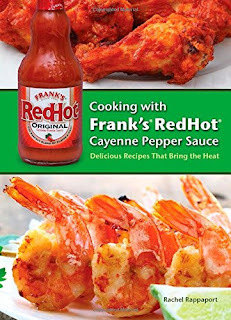 · Place in a single layer or a tray or cake pan and freeze 1-2 hours before packing into containers. · If freezing in Tupperware or other plastic containers, make sure you leave 1 inch of space before sealing. If using freezer bags leave 2-3 inches of space and squeeze out all of the air. In a large pot, bring salted water to boil. 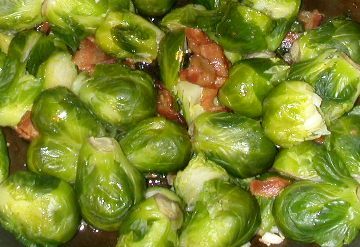 Add the Brussels sprouts and boil them for about 8 minutes. Remove from heat, drain, and then chill them in the refrigerator for about ten minutes. Slice the sprouts in half when they have cooled. Meanwhile, in a large skillet, cook the bacon over medium heat until it is just crisp. Discard all but 2 tablespoons bacon grease. Add the garlic and sauté a few minutes until lightly browned. Add the sprouts and cook until heated through. Sprinkle with salt and pepper and serve immediately. Grind fennel in a mortar and pestle to a fine powder. Rub half of the fennel on pork chop (both sides) along with salt and pepper. On a large plate, sprinkle flour, salt and pepper. Dredge pork chops in mixture. 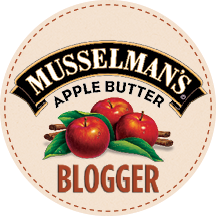 Meanwhile, combine butter and oil in a large pan, cook over medium heat until butter foams. Add garlic, sauté one minute. 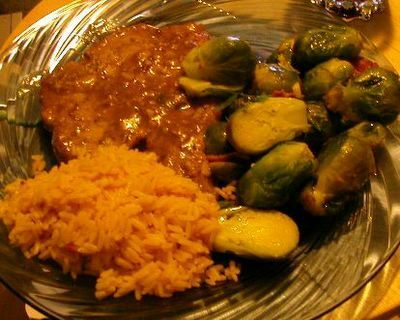 Brown pork chops on both sides, pour in wine and broth. Cover and cook 10-15 minutes or until tender, flipping half way though, over medium high heat. Uncover and reduce broth and wine, about 5 minutes or until thickened. 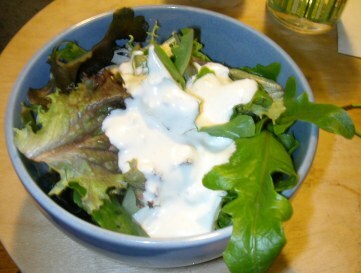 In a food processor, whisk together the mayonnaise, half of the blue cheese, buttermilk, sour cream, lemon juice, Worcestershire sauce, and salt, until smooth. Gently stir in the remaining blue cheese and season with pepper. It can be stored in the refrigerator for up to 3 days. Preheat oven to 425. In a small heat safe bowl or measuring cup combine butter, shallot and garlic. Microwave about one minute or until butter is melted. Place scallops in a shallow baking dish. Pour the garlic/shallot butter over the scallops evenly. 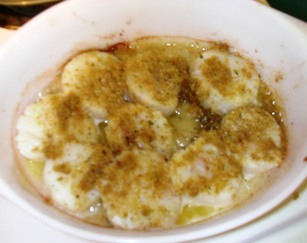 Combine oil and bread crumbs and sprinkle over scallops. Add salt and pepper. Bake until opaque, about 10-12 minutes. Cook pasta according to package directions. 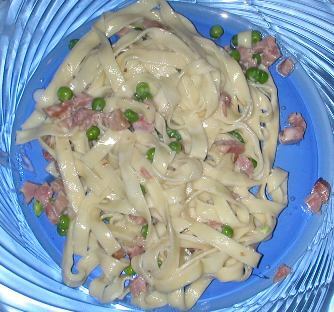 About 3 minutes before the pasta is finished cooking, add the frozen peas to the pot. In a small saucepan heat through cream, ham and Parmesan. Drain pasta and peas and toss with sauce. Easy-peasy.